Looking around the internet the other day I saw this ^ photo^ of my bike that I didn't exactly recognize. As I looked closer, it also had Gabe's bike in it. As I tracked the photo down, I was pleasantly surprised to find an excellent article written about my bike while at The Smoke Out in North Carolina. After reading that article, I also found an equally great article about Gabe's bike. 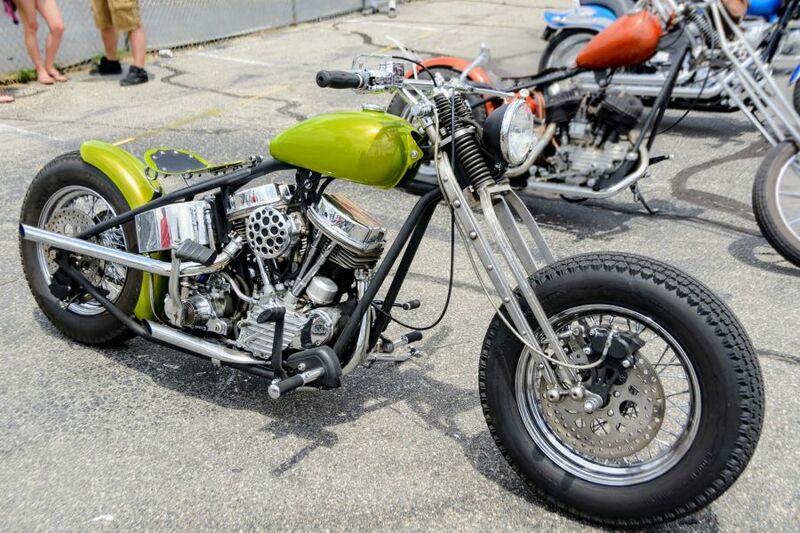 And Could this Flathead chop be more traditional? My 1981 Ironhead was featured on Barnett's here back in 2011.